Stitched panoramic view of E Street side of the White House from the Zero Mile Marker, tourists and all. 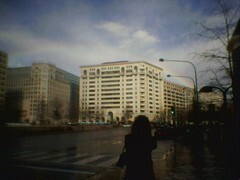 Amy to right. 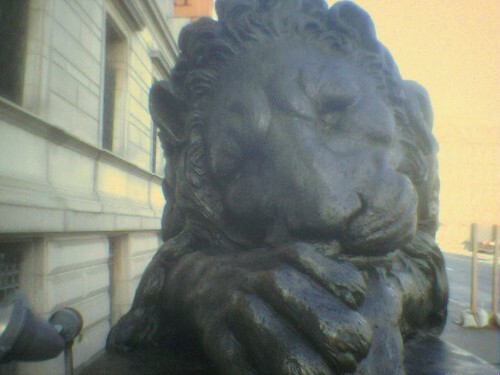 One of Canova’s lion sculptures, guarding the Corcoran Museum. 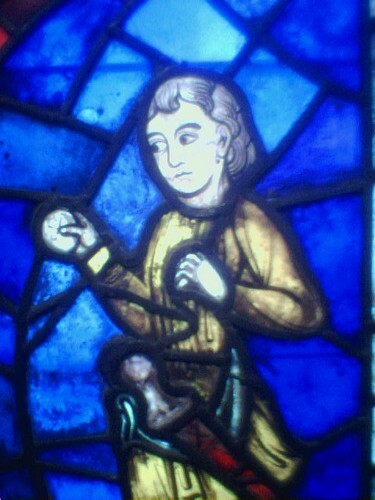 From the Corcoran collection, stained glass windows showing scenes from the lives of Saints Crispin and Crispian, patron saints of shoemakers and cobblers. 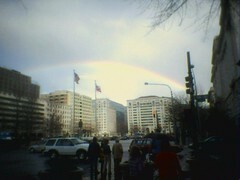 Shortly after a powerful thunderstorm, a rainbow appeared over Downtown DC.